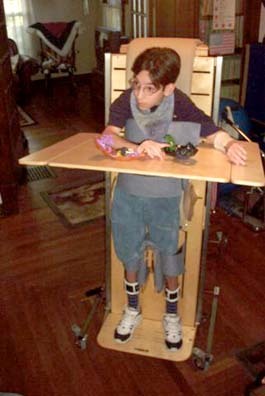 The Expandable Tray (patent pending) is suitable for manual or power chairs, and can also be used on standing positioners. It fits through doorways and aisles, yet expands easily to create a large working surface. Video of the Expandable Tray in use. individuals of all ages LOVE the Expandable Tray!